The European Cantors association is happy to announce that booking is open for the 11th European Cantors Convention taking place in Prague from Thursday 17 to Sunday 20 November 2016. All those interested in Jewish prayer music based on the orthodox tradition are welcome to attend. As well as lectures and masterclasses there will be a gala concert on one of the most beautiful synagogues in Prague and a tour of Jewish Prague. And best of all cantos and choir will illuminate two beautiful Prague synagogues with memorable music and prayer over Shabbat. More details, a flyer that you can download and print off and the registration form can be found on the website www.cantors.eu. Few bands have pushed the boundary of Jewish music as hard as Jeremy Lockwood and The Sway Machinery. 2011's The House of Friendly Ghosts was a collaboration between the band and North African Rai singer Khaira Arby. The opening horns in this new release, Purity and Danger reflect that collaboration, still. The album also reflects Lockwood's background as a street blues musician ("My dead lover's wedding," with its echoes of "St. James Infirmary" or the Hound Dog Taylor-inspired distorted guitar meeting North African music and jazz in "Longa"), and the cantorial legacy of his grandfather (including very new settings to Cantorial gems ranging from Ben Zion Kapov-Kagan's "Rachamana D'Onay" and Leib Glantz's "Al Tashlicheini." This is fertile territory, and at its best, this is a fusion as astonishing as the discovery of how well Arabic music fits piyyut 1500 years ago. Available as CD or digital download from 3rd generation recordings. I should also mention that The Sway Machinery has a new cassette EP coming out. Those interested, should check out on 3rd Generation Recordings website. This latest Yoshie Fruchter project needs help on Kickstarter. I'm in. How about you? Schizophonia is an exploration of cantorial music found on 20th century recordings and re-imagined through a contemporary lens. July 2014: Thursday 10 - Monday 14th. For years now I've holed up in a basement in Greenpoint that I rent from my friend Veronica. It's in this space that I write new material for The Sway Machinery, practice the band, do my research and development and generally hide away from the world and delve down into the gutter of my subconscious. It's been a bit quiet with the band lately (although we will soon be starting up playing a bunch of exciting summer festivals). I've been thinking that I would like to invite the world down into my basement to hear the work I'm doing developing new sounds. I am going to record an EP length CD of new music every month for six months--demos of new songs, solo blues performance, research into Classics of Chazzanus, experimentation of various stripes and colors. These EPs will be available to the public on a sunscription basis: for 50 bucks a subscriber will receive a limited edition EP-length CD with hand made cover in the mail every month for six months, June through December. Drop me a line if you are interested in becoming a subscriber! I was saddened to learn that Cantor Susan Wehle of Temple Beth Am, Amherst NY was listed as a passenger on the Continental Airlines flight out of Newark that crashed in Clarence, NY near Buffalo last night. She produced a CD entitled "Songs of Healing and Hope" inspired by her visits to the sick and dying. She had beautiful voice, performed at many community functions and was very active in the interfaith community. I am sure that an appropriate and complete summary of her accomplishments will be published. She will be greatly missed by many in the Buffalo community as well as Jewish music circles throughout the world. It is truly amazing to see the human cost of this mishap as it has taken from us people who have influenced many facets of life ranging from music to human rights in Rwanda to keeping the memories of 9/11 victims alive. There may have been other artists lost but I don't have adequate information to verify anything further. New Debbie Friedman CD, "Shacharit"
As 2008 comes to a close, we find ourselves living amid much uncertainty. So many of us are worried; about our finances, our security, our future. From the beginning of my career, I have tried to help people see how prayer can be a source of comfort in both good times and bad. This is particularly the case with my latest CD, As You Go On Your Way: Shacharit - The Morning Prayers (available at www.debbiefriedman.com), which I hope will give people the opportunity to pray in an intimate and personal way with the goal of helping them get through these difficult times. I want to help people to begin their day with an open heart; to learn to pray in a comfortable, non-threatening way. Maybe, they'll first experience the CD as music but, over time, they may learn the prayers. Now, when so many are feeling anxious and stressed, the comfort and sense of peace that prayer brings can be a wonderful experience; the perfect way to begin the day. Nat Hentoff on David Chevan's "Yizkor"
New CD: "Journey to Shabbat"
"I am the Cantor of Congregation Sherith Israel in San Francisco. I have just finished a CD of contemporary Jewish prayers entitled, "Journey to Shabbat". A small but high quality ensemble and I recorded this album in my 102 year old sanctuary with its amazing acoustics and historical associations (it is one of the few houses of worship to survive the 1906 earthquake in San Francisco). I wonder if you might consider reviewing the CD for Jewish communal readerships and/or sharing any advice about ways I can get this CD out. A project that was 2 years in the making. I poured a lot of heart and soul into this-my first Jewish recording after doing four other more univeral/spiritual albums." You read more, listen to samples, and order the CD from CDbaby.com—this could be the West Coast answer to "With Every Breath" (recorded a few years ago in NYC's Bnai Jeshurun). As we know, Ottoman society was a multi-national society in which the cultures of various ethnic and religious communities existed side by side. Each community preserved its religious music in its place of worship, and its folk music within its customs and mores. The music of various ethnic or religious communities formed the peripheral musical culture of the Empire, while the music of the Ottoman élite constituted the central culture (urban light music was a branch of the classical tradition). The Ottoman central music was cherished not only by Muslim musicians but also by non-Muslims: Greek, Armenian, Jewish and other communities. The interesting point was that a great number of non-Muslim musicians were active both in their own religious milieux ­ in church, in the synagogue, etc. ­ contributing to their local or folk music, and also in the sphere of the central music. This peculiarity led to musical exchanges and borrowings. 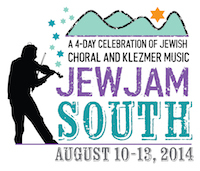 A very typical example of this process is observed in Jewish liturgical music: Jewish cantors singing in Istanbul synagogues borrowed many Ottoman secular or classical songs and performed them in their liturgical ceremonies, on Hebrew sacred texts. One can still hear religious songs or hymns in Istanbul synagogues that maintain their traditional components. Here's the whole article. Edwin Seroussi has written several articles on these "borrowings". >singers as heard on radio and television. Here's a hot tip. Cantor Sam Weiss posts to the Jewish-Music list that "The latest CD in the Cantors Assembly/United Synagogue series is now available, 'The Spirit of Hanukkah: Voices of the Conservative Movement'. Liner notes by yours truly." 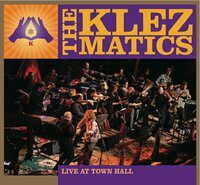 It turns out that the sister of Lori Lippitz (Maxwell Street Klezmer Band) is also on the CD. Kvell! Kvell! Check out Cantor Riki Lippitz of Oheb Shalom in South Orange, NJ, singing the solo on Ocho Kandelikas. Judy and I went to see Boston's HaZamir last night. For those who don't know, the first HaZamir was part of the Jewish Nationalist flowering back in Lodz a century ago. There are two related choirs in the US - the one in NYC is the first, and is currently led by Matthew Lazar. Boston's is also highly regarded by afficionado's of Jewish choral music. The couple of previous times I saw HaZamir I felt very frustrated. The choir has been relatively small, and the material bounces from popular Israeli folk ditties to new classical compositions such that the result is nice, but not compelling. But last night was the 36th anniversary concert (36 is a significant number is Jewish folklore, being both 2 x 18 where 18 symbolizes life, and significant on its own because reputedly there are 36 holy people—the "lamed-vavnikim" on earth by whose merit the world continues). The first half of the concert contains commissions, old and new, and they ranged from "okay" to "pretty good" - a Benji Ellen Schiller piece was quite nice, as was an Israeli commission that followed. But the second half was the most amazing performance of Bloch's "Sacred Service" I have ever heard. More significant, it's was the best performance that Judy, who has performed the piece, had ever heard. It wasn't just new melodies to which the Reform Friday night service of 1929 (when this was premiered) was set. Bloch entirely rethought how each prayer should be arranged and sung, and in so doing, created a spiritual work of enormous power. After a long, wonderful service, Bloch ended with a rethinking of Adon Olam that will probably change how I hear that prayer (no longer, in my mind, the ditty with which we end the service) from this point forth. I feel as I did when I saw King Crimson about 30 years ago—this is not music that I thought interested me, but damn, how amazingly powerful. And, for once, HaZamir was better than ever. This is the way to celebrate a significant anniversary. Josh Jacobson, the co-founder and director should feel very proud of himself, as should all of the participants. The Cantors Assembly has recently released a 6-CD set of digitally remastered recordings of Yossele Rosenblatt (including his Yiddish recordings). The set comes with Hebrew and English texts, and indications of original recording dates. In addition, the out-of-print Rosenblatt biography by his son Samuel Rosenblatt has been reprinted. ...Which reminds me of the one about the cantor who bragged that he was "the third Yossele Rosenblatt." "And who is the SECOND Yossele Rosenblatt?" asked one member of the congregation. "There could BE no second Yossele Rosenblatt!" scowled the cantor. Cantor Sam Weiss on "Teshuva"
In this case, it's an album by Ramón Tasat, César Lerner and Marcelo Moguilevsky, reviewed by Cantor Sam Weiss for the KlezmerShack. It was Cantor Weiss' goal to make this available during the High Holiday period. Happily, the review is none the less interesting and pertinent for the delay. It gives me the greatest of pleasure, after more than 7 years of travail, to announce that over 2,000 sheets of shul music have now been scanned and put on the www.shulmusic.org site. Irwin Oppenheim's "Chazzanut Online" is such a wonderful site. He has updated it with loads more material - do take a look! My first conversation with Kurt Bjorling took place almost ten years ago and had much to do with the difficulty of being the "other" Chicago klezmer band (Kurt co-founded the Chicago Klezmer Ensemble), and a lot to do with the tapes of Naftule Brandwein that he was passing around to fellow musicians who had no access at the time to Brandwein's amazing and influential repertoire. 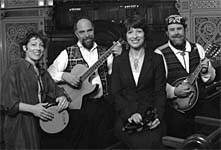 Bjorling's exploration of klezmer, and then beyond, all of Eastern European Jewish music has been profound and influential. On this newest recording, he and his wife, harpist Annette Bjorling, take all of that: klezmer, nusakh, nign, and meld it into a delightful, thoughtful, articulate and gentle album of clarinet-harp duos. Cantor Isaac Algazi: Sweet Singer of Israel Ottoman Jewish Music from the Early 20th Century, SM 1622-2, Available on 6 May, 2002; probably will be available 8 weeks later in US. Rabbi Isaac Algazi (b. 1889 Izmir/Turkey, d. 1950 Montevideo/Uruguay), the "Sweet Singer of Israel", was one of the most outstanding cantors of the Turkish-Jewish synagogue. One of the leading Turkish-Jewish intellectuals of his time, Algazi was the first to establish the art of solo cantorial singing in the public prayer of Sephardi Jews, influencing 20th century Sephardi cantorial music throughout the world. A New Liturgical Voice, a , by reviewer Cantor Sam Weiss, Sept. 2001. This page is based on an article in Volume XXVIII of The Journal of Synagogue Music, published by The Cantors Assembly.